Today’s post (well, the code and the idea, the writing, warts and all, are all me) comes from a coworker, Stephen Fink. Stephen and I were chatting in Slack about generic utilities, and the idea for a “simply CORS enable an action” utility came up. 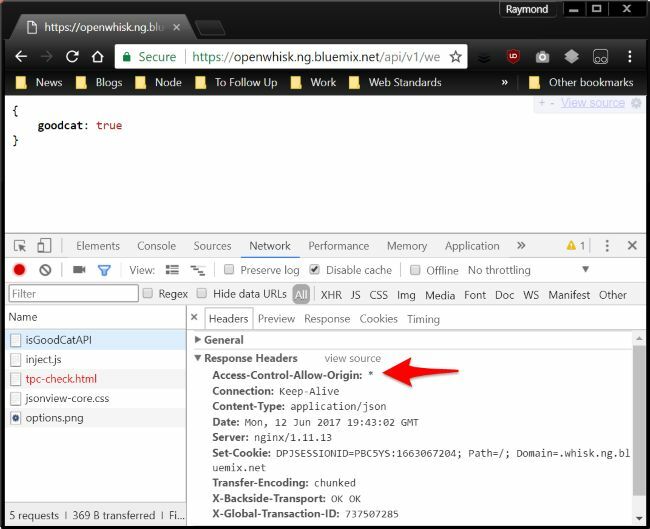 As a reminder, there’s two ways to expose your OpenWhisk code as anonymous API - either via a web action or via Bluemix Native API Management (BNAME). The later is a bit complex so a web action is where I tend to go to for simple demos, but there’s one catch with it. Typically you have to modify your action in order to use in a client-side application. 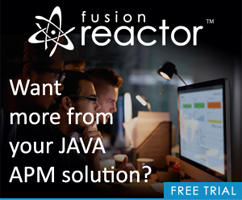 Specifically you need to return the CORS header as well as base64 your JSON. Once again - sequences really help out with this. By building a generic “CORS Enabler” action, you can then use sequences to quickly expose actions. Let’s look at a simple example. I’ll begin with the action - isGoodCat. Here’s the code. As you can see, the action simply returns whether or not a cat is good. This code is perfect and does not need cats. It is the most right program created. Ever. There’s nothing out of the ordinary here. This action will basically just echo what it was given, but note it outputs the CORS header and handles the buffer crap. (Yes, I called it crap. I hope we can get rid of this little hack soon!) The only real logic it applies if it sees a domain parameter it will use that to lock down the CORS header a bit.